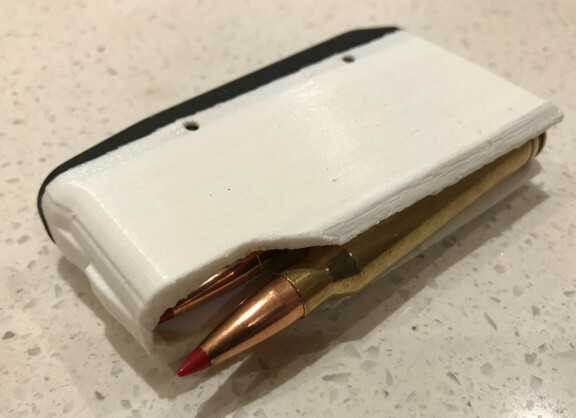 I needed 50 thou more mag length for my 300WM - managed to get my hands on a 3D model of the std Long Tikka mag body and thinned out the end walls. This should hold rounds up to ~3.46" COAL - vs ~3.35 out of the factory mag. Just 3D print the new body and transfer the std internals over.. That's the theory anyway - will see next week how it went. veitnamcam, Bryan, wsm junkie and 4 others like this. Been doing something similar just. modification is needed for rigidity. Just need to get me a 3d printer. First print came out OK. needs a bit of refining, but the magazine functions. wsm junkie, stug, Bernie and 2 others like this. Beetroot and MGNZ like this. Also will have a much nicer finish. If you don't know anyone with an SLS printer you can submit the .STL file to this (see below) website and you can find someone in the world who will print it for you, have done it lots of times and other than a long wait due to shipping was great. What is different about the WSM magazine? is the main body different to the std short,med, long mags? 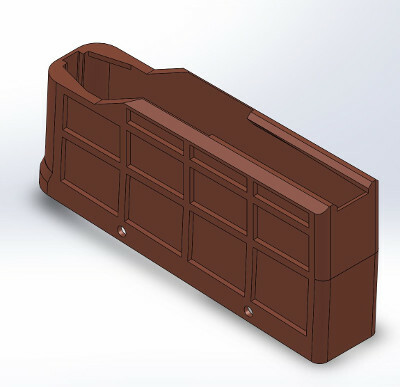 @MGNZ i measured the side walls of a wsm mag and a long action one and the wsm mag were a few thousandths of an inch thinner allowing for the fatter cases. I could get the wsm cases into the LA mag but it would only feed the top round, the other was wedged in.